More powerful than poverty is the hope of Jesus, the care of a local church, and the encouragement of you: a loving sponsor. Children receive a healthy snack or meal when they attend program activities and may receive extra nutritious food if required. They receive regular health check-ups and learn how to take care of their bodies and form healthy relationships. In a culturally sensitive way, children are given the opportunity to hear the gospel message. They learn how God has shown his love for the world by sending Jesus Christ, and how He has a plan and purpose for their lives. Children are supported to attend and stay in school. They also receive vocational training opportunities and extra-curricular activities such as sports, field trips, music and computer training. Our local church partners' workers love and care for the children in our Child Sponsorship Program, encouraging them to discover and pursue their unique gifts, passions and abilities. They'll also get to know the child's family, so the church can offer additional support where needed. There's nothing better than knowing you're making a real difference in the life of a child living in poverty. Here's how. Choose the child you'd like to connect with and become their sponsor. Get to know your sponsored child through letter writing. You're transforming the life of a child living in poverty! 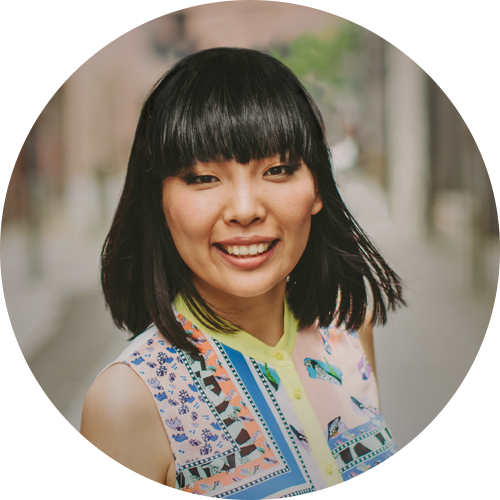 "My husband and I have been sponsoring children through Compassion since I was a student. By supporting this organisation, I know I'm taking part in reducing poverty around the world in the most effective and ethical way." Our Child Sponsorship Program works. Independent research* shows Compassion sponsored children stay in school longer and are more likely to grow up to be employed and leaders in their churches and communities. Approximately 80 per cent of your donations go directly to benefit the children in our programs. You'll know where your money is going: our financials are fully transparent and available on our website. How can I find out information about my sponsored child/children? You can find information about your sponsored child or children in your ҐMy Account'. Once you have logged in, you will see the ҐMy Sponsorships' tab on the left side of the screen. Under this tab you can see photos of the children you sponsor. If you click on a photo of your sponsored child, you can see their birthdate and child number, as well as information about their family and community. You can also write a letter by clicking on the blue button. 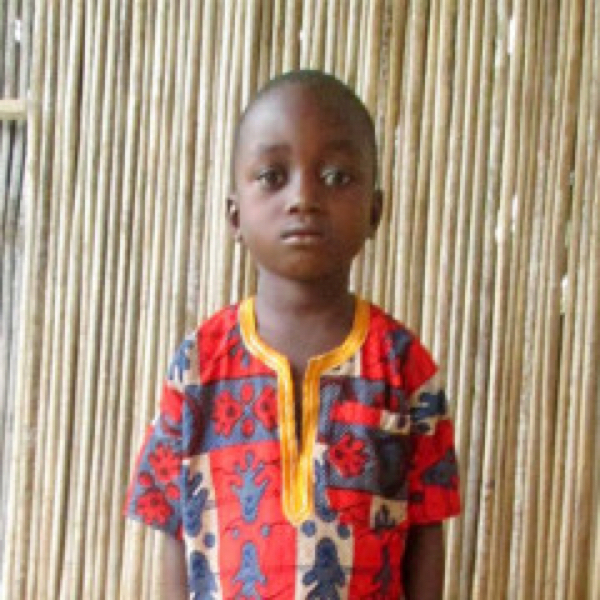 When will my sponsored child complete Compassion's Child Sponsorship Program? Sponsored children graduate from the Child Sponsorship Program once they have completed primary school or a vocational training course. Depending on the community and the child's situation, they may also complete secondary education before graduating. The age of children completing the program varies from country to country, depending on the education system, but generally ranges between 18 and 22 years old. Every teenager registered in our programs writes a plan for their future, including their likely date for graduation. You are welcome to write to your older sponsored child and ask about what is in their 'My Plan for Tomorrow'. Sometimes, a child may leave the program before graduation. A child may leave the program earlier if their family moves from the area, if their home situation improves, or if their family chooses to withdraw them. If I need to cancel my sponsorship, what are my options? Your relationship with your sponsored child is valuable. For this reason, we believe that it's important for both the sponsor and the sponsored child to continue with a sponsorship if at all possible. However, we also understand that from time to time you may experience difficulty (financial or otherwise) in being able to continue your sponsorship. If you need to cancel your support for your sponsored child, please call us on 1300 22 44 53 and a staff member will help you. We may also be able to offer some options so you can continue to support your sponsored child if that is your preference (options one and two) or instead support the broader work of releasing children from poverty in Jesus' name (option three). Option 1 Reduce your monthly sponsorship contribution for six months to an amount between $24 and $48 per child, depending on what you can afford. Option 2 Request that Compassion cover three months of your financial contribution so that you will not need to provide contributions for that period. Your contributions will then recommence the following month unless you request otherwise. Option 3 Consider supporting Compassion's Critical Needs by giving a monthly contribution of your choice. 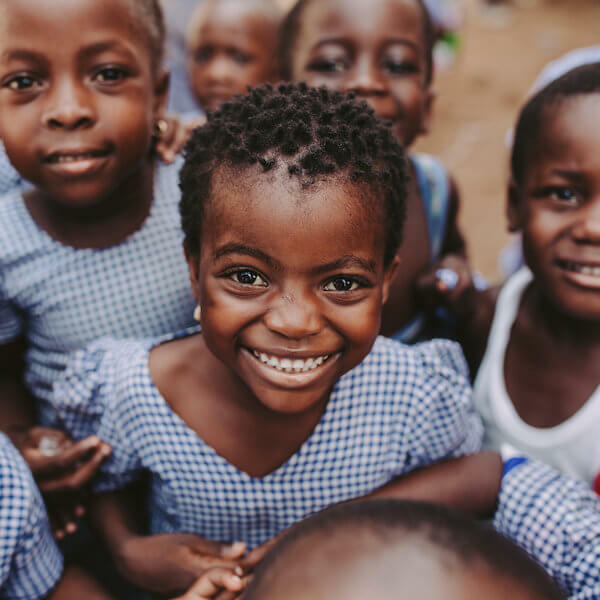 This means you will no longer be sponsoring an individual child, but your support can make a life-changing difference to thousands of children by providing safe water, education and training, disaster relief and much more. Thank you for joining us in the commitment to release child from poverty in Jesus' name. Why do I need to go through Compassion to communicate with my sponsored child? It allows the program staff to become familiar with your sponsored child's requests for prayer and support, and to help them appropriately. It enables us to protect you from receiving unsolicited, inappropriate or fraudulent requests from members of your sponsored child's community who could otherwise gain access to your personal details. It enables us to translate your sponsored child's letters, which are often written in a different language. To keep your personal details secure, it's important that you don't make contact with your sponsored child outside Compassion channels, such as by phone, e-mail or using social media. If you are approached directly, please contact us to let us know. What happens if I can't write to my sponsored child? 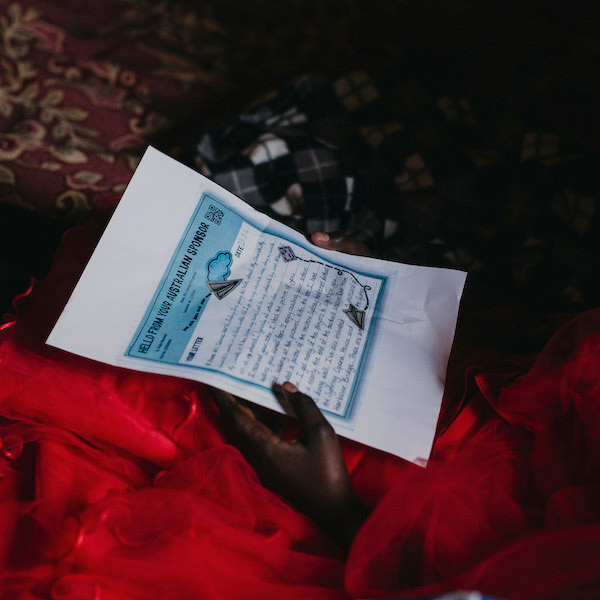 Writing and receiving letters helps build a strong relationship between you and your sponsored child, and is often one of the most valued form of support your sponsored child will receive. However, some sponsors are unable to correspond personally with their sponsored child. If you are unable to write to your sponsored child, you may wish to nominate a family member or a friend to write on your behalf, or we can help find someone who can correspond with your child. If you choose to do this, unfortunately you will no longer receive reply letters from your sponsored child; they will be sent to the new correspondent so that they can continue the communication. However, you will continue to receive updated student profiles every two years.